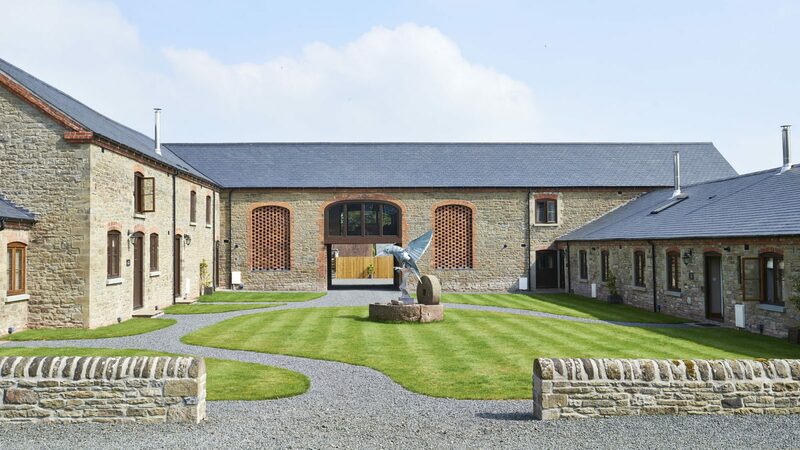 Herefordshire’s The Barns offers flexible luxury. 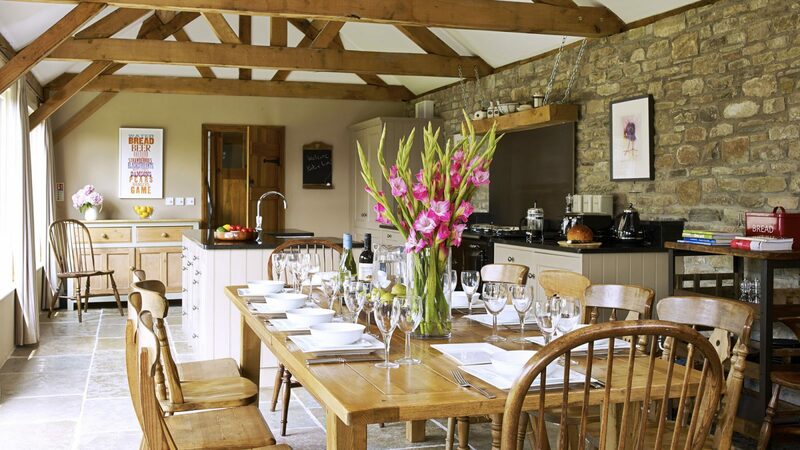 Parties of up to 35 can wallow in lavish, luxurious lushness amid high beams, stone floors and homely throws. Pile in together, get the log fire roaring, crack open a bottle, then laugh and chat for England. The real luxury is just in being together. 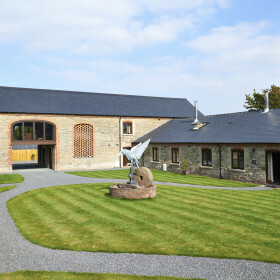 Flexible fun is the key at The Barns, with its accommodation permutations. Go for broke with a party for up to 35. 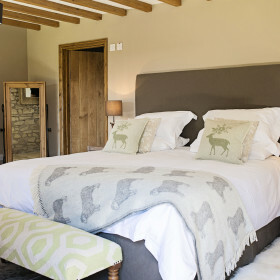 However you play it, The Barns in deepest Herefordshire adds up to a statement in lavish, luxurious lushness. 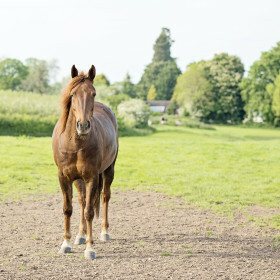 Book in summer to enjoy the English lawns and verdant pastures. Book in winter and hope you get snowed in, so you never have to leave. Yes, these are barns, but the only livestock are on the other side of the walls, ready to lull you into a deep sleep, as a moo or a neigh merges with the rest of the rural soundtrack. Space is vast, furnishing opulent, the hot tubs inviting. Read a book in the living room, watch a movie in the cinema room, hang out in the games room. 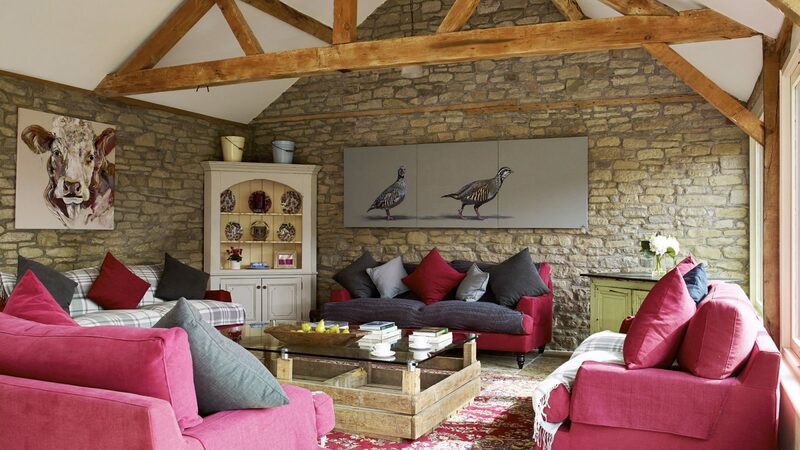 This is an opulent world of high beams, stone floors, homely throws and rugs. 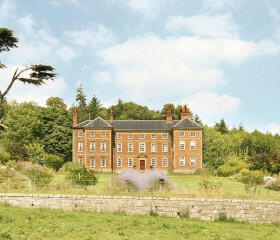 Get together, crank up the log fire, laugh and chat, drink and dine. The joy of The Barns lies in being together and the real luxury here is time. Take a tipple in the courtyard garden under the parasol. 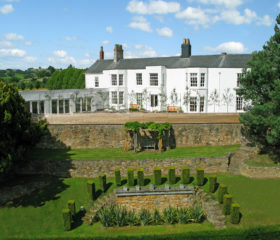 There’s space here for children to race and play on a classic English lawn, and time to dine. 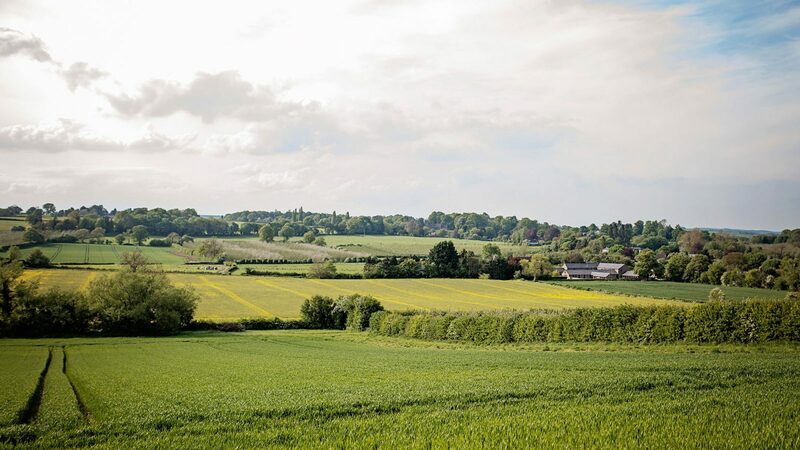 Cook up a storm yourselves, fire up the barbie, or order up a chef and eat al fresco beneath big skies. Luxury abounds here. 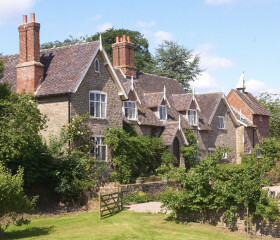 The Barns seems hewn from the essence of Herefordshire itself. 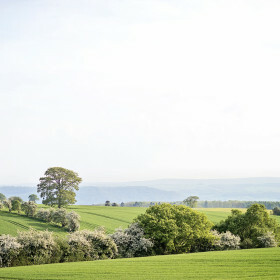 Built from local stone, this is a monument to tasteful, comfortable living deep within the rural dream. 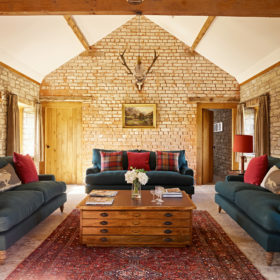 With over 4500 sq feet of high-beamed, flagstoned opulence, The Old Byre and The Granary get everyone together in comfort and style. 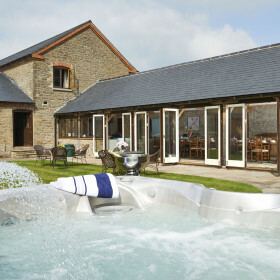 Read a book in front of the roaring logs, magic up a movie in the cinema room, pile into the hot tub. The luxury is laid on thick, but homeliness and heartiness live in every beam, throw and rug. The Old Mill and The Hayloft weigh in at nearly 5300 sq feet. This is heavy hitting in the luxury stakes. 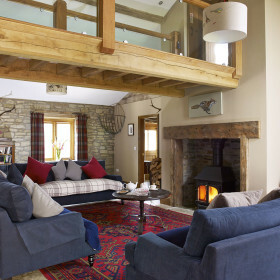 Walls are exposed stone, floors are flagstone, beams are oak. 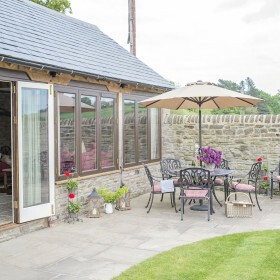 Fire up the logburner, get a movie on, enjoy the wifi, get the cover off the hot-tub. We’ve laid on the luxury so you can enjoy the simple things. Major celebration or reunion? 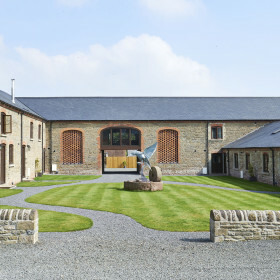 Book The Barns in its entirety. Enjoy the splendours of life with up to 35 guests. Ask us about catering, bring your own bottles and make merry with the people who matter most. 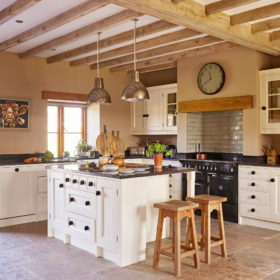 In the range kitchens, above the flagstone floors, on the granite worktops, nothing less than freshly baked bread and newly ground coffee seems appropriate. We can arrange both, or you can do your own thing entirely. 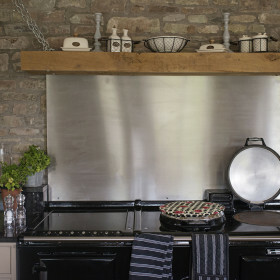 The range kitchen at The Old Mill is as sociable as it’s sizzling. Traditional country units and island in French blue give way to communal dining and space for couches and coffees. Just nod and we’ll fix the layout to fit your party. It’s a similar cosy story in The Old Byre. 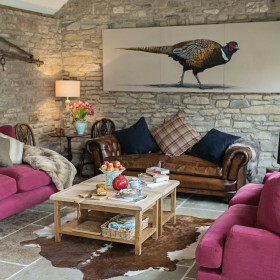 Chop and chat in the country kitchen, dine together around farmhouse tables, then shimmy down for a coffee on the comfy couches in front of the flatscreen TV. Who needs any other rooms than the heart of the home? 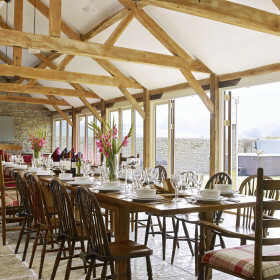 From a party of 35 down to an extended family of 10, we can configure the Barns for serious fun. However you play it, all the bedrooms offer deep slumber between downy duvets and rich cotton sheets. 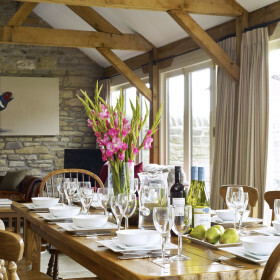 The Old Byre sleeps 10, with three King Size bedrooms and one quadruple room. If more decide to join the party then we can offer two extra Z-beds for an additional charge. Four bathrooms and ensuites make for mellow mornings or a languorous evening soak. 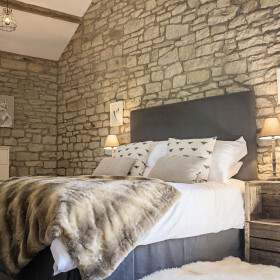 Sleeping six, The Granary comes with three King Sized bedrooms and bathrooms to match. 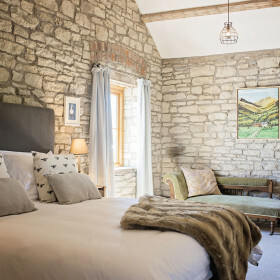 The delicious indulgence is laid on thick in The Old Mill, offering three Super King Size bedrooms with ensuites to match and one triple room, with an extra Z-bed for an additional price if needed. 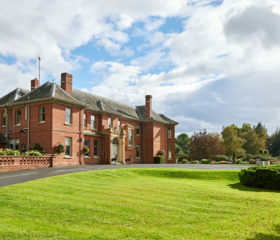 Luxurious and spacious, privacy and time rule here. 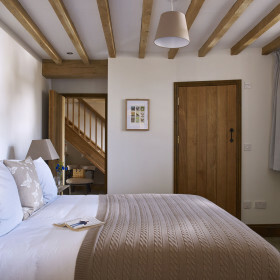 In The Hayloft, eight can sleep in deep comfort in four King Size rooms. 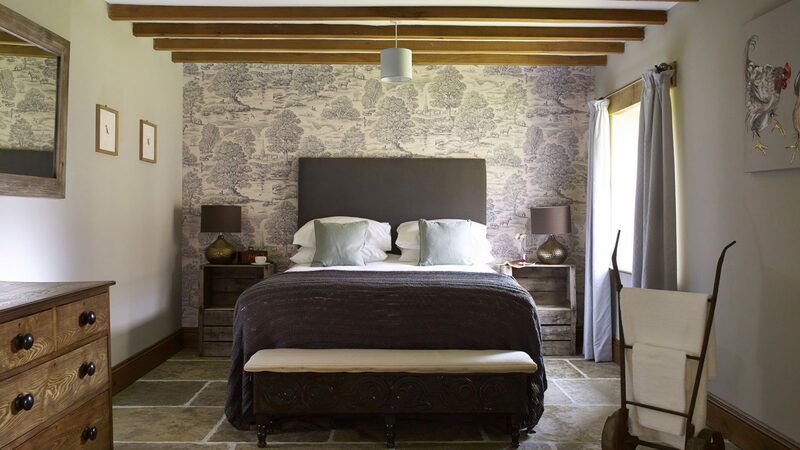 There’s a bathroom or ensuite for every bedroom, so you can linger for longer as you pamper. 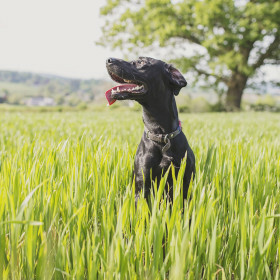 Walk or ride the woods and rolling hills of rural Herefordshire, with or without dogs. 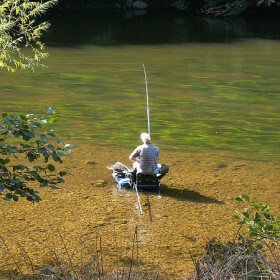 Fish the rivers, play world-class golf. 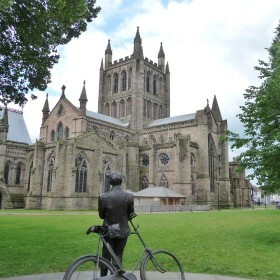 See history come alive at Hereford Cathedral and the world according to mediaeval scholars in the Mappa Mundi.